SelectLeaders, LLC (“SelectLeaders”) reserves the right to revise these Terms and Conditions at any time by updating this posting. You are responsible for reviewing these Terms and Conditions from time to time in order to become aware of any changes. You must be thirteen (13) years of age or older to visit or use the Site in any manner. If you are under the age of eighteen (18) or the age of majority, as defined in your jurisdiction, you may only use the Site under the supervision of a parent, legal guardian or other responsible adult. By visiting this Site, you represent and warrant to SelectLeaders that you (i) have attained the age of majority in your jurisdiction, (ii) have the authority and capacity to agree to and abide by these Terms and Conditions, and (iii) will not use the Site in any manner that is prohibited by these Terms and Conditions or applicable law. All content on this Site, unless specifically noted, is copyright of SelectLeaders. Copyright violation is a serious offense, punishable by civil and criminal penalties. 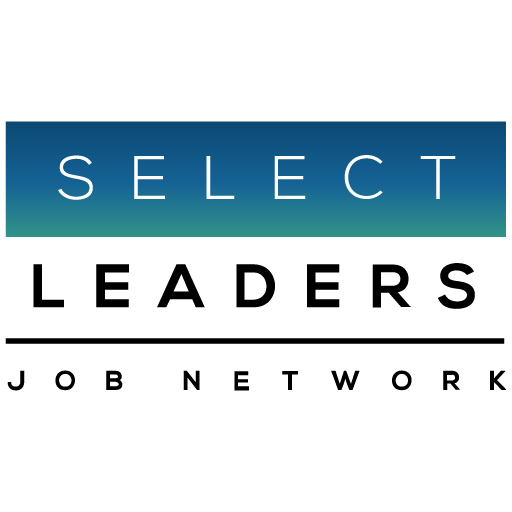 “SelectLeaders,” “The Professional’s Choice for Real Estate Jobs,” “SelectLeaders Real Estate Job Network,” “Specialists in Real Estate Recruitment,” and the SelectLeaders’s logos are service marks of SelectLeaders. Other trademarks, service marks and logos are the property of their respective owners. You are not permitted to use any trademarks, service marks or logos without the prior written consent of the owner. You may browse the Site and use its functions and features, and you may download material displayed on the Site, for your own personal use only. You may not remove any copyright, trademark or other proprietary notices from materials you download. Any use contrary to these Terms and Conditions is a violation of the intellectual property rights of SelectLeaders and/or its contributors. The Site, all content on the Site, and all right, title and interest in and to the Site and its content are the sole property of SelectLeaders or its licensors, and are protected by United States and foreign copyright, trademark and other laws. Except for the limited licenses expressly granted to you in these Terms and Conditions, SelectLeaders reserves for itself and its licensors all other rights, title and interest. Without limiting the foregoing, you may not reproduce, modify, transmit, display, reuse, repost, sell, or distribute any content on the Site, or use the content in any other way for public or commercial purposes. Notwithstanding anything to the contrary contained herein, this prohibition includes: (a) copying or adapting the HTML code used to generate web pages on the Site; (b) using or attempting to use engines, manual or automated software, tools, devices, agents, scripts, robots or other means, devices, mechanisms or processes (including, but not limited to, browsers, spiders, robots, avatars or intelligent agents) to navigate, search, access, “scrape,” “crawl,” or “spider” any web pages on the Site other than the search engine and search agents available from SelectLeaders and other than generally available third party web browsers (e.g., Microsoft’s Internet Explorer, Mozilla’s FireFox, Google’s Chrome, or Apple’s Safari); and (c) aggregating, copying or duplicating in any manner any of the content or information available on the Site, without the express written consent of SelectLeaders. The use of SelectLeaders’s content or information on any other web site or in a networked computer environment for any purpose is strictly prohibited. SelectLeaders hereby grants you a limited, terminable, non-exclusive right to access and use the Site and its content only for your personal use seeking employment opportunities for yourself. This authorizes you to view and download a single copy of the material on the Site solely for your personal, noncommercial use. You agree that you are solely responsible for the content of any document you post to the Site and any consequences arising from such posting. Your use of the Site is a privilege. SelectLeaders reserves the right to suspend or terminate that privilege for any reason at any time, in its sole discretion. SelectLeaders hereby grants you a limited, terminable, non-exclusive right to access and use the Site and its content only for your internal business use seeking candidates for employment. This authorizes you to view and download a single copy of the material on the Site solely for your personal use directly related to searching for and recruiting job prospects. You may not sell, transfer or assign your rights to any of the services or content provided by SelectLeaders to any third party without the express written authorization of SelectLeaders. You agree that you are solely responsible for the content of any document you post to the Site and any consequences arising from such posting. SelectLeaders reserves the right to suspend or terminate your access to and use of the Site or its content at any time if SelectLeaders determines that you are in breach of these Terms and Conditions. Your user ID and password control your access to parts of this Site. You are responsible for protecting and keeping confidential your User ID and password, for any unauthorized use of the Site conducted via your User ID and password, and for notifying us immediately at info@selectleaders.com if you know or suspect that your User ID or password has been compromised. SelectLeaders does not assume any responsibility for Your Content or for any content furnished by anyone other than SelectLeaders. SelectLeaders may, at any time and in its sole discretion, screen, monitor, investigate, intercept, block, exclude, remove, request the removal of, or otherwise exercise control over Your Content or anyone else’s content that SelectLeaders determines violates these Terms and Conditions or our Code of Conduct (see below), any applicable law, or any right of SelectLeaders or any third party, or otherwise may expose SelectLeaders to civil or criminal liability or public ridicule, provided however, that such right shall not obligate SelectLeaders to so exercise control over Your Content or any third party’s content. Without limiting the foregoing, SelectLeaders reserves the right to monitor, block, exclude, remove or otherwise limit any content, at any time, at its discretion. You understand and agree that SelectLeaders owns and has the right to collect, extract, compile, synthesize, and analyze Aggregate Data. “Aggregate Data” means de-identified aggregated data or information regarding a candidate’s educational or career history (including, by way of example and not limitation, aggregate data relating to a candidate’s occupation, location, salary, education and experience). SelectLeaders may use such Aggregate Data for any lawful business purpose without a duty of accounting to you, provided that the data and information is used only in an aggregated and anonymized form so that it cannot be identifiable as relating to you, your company or to any other candidate. Post any false, inaccurate, untimely, stale or misleading information. If you are a recruiter, post any employment opportunity for an employer not directly represented by your firm. Post the same position multiple times or post multiple positions within one posting. All employment opportunities must contain a company e-mail address or online applicable function. Resell or make available in any medium to any person not licensed by SelectLeaders any of SelectLeaders’s services or any information obtained there from, including, without limitation, resumes or candidate information. Use any search engine, software, tool, agent or other device or mechanism, including, without limitation, browsers, spiders, robots or other program (other than those made available by SelectLeaders on the Site or other generally available third party web browsers, e.g., Microsoft’s Internet Explorer, Mozilla’s FireFox, Google’s Chrome, or Apple’s Safari), to navigate or search the Site. Engage in spamming or other mass marketing via e-mail, direct mail, telephone, or otherwise to SelectLeaders’s employers, recruiters or candidates. Express or imply that any statements you make are endorsed by us. Impersonate any individual or entity, including, without limitation, a SelectLeaders’s employee or agent, a user of SelectLeaders’s services, including a candidate, employer or recruiter, or otherwise misrepresent your affiliation with any person or entity. Restrict or inhibit any other user from using and enjoying the Site and services, including, without limitation, by means of “hacking” or defacing any portion of the Site. Use the Site for any unlawful commercial, research or information gathering purpose or for any purpose other than seeking to find or fill a job opening, including, without limitation, using any personally identifiable information about candidates for purposes other than consideration of such candidates for potential employment by your company. Attempt to gain unauthorized access to, interfere with, damage, attack, or disrupt any parts of the Site, the server on which the Site is stored, or any server, computer, or database connected to the Site. Modify, adapt, sublicense, translate, sell, reverse engineer, decompile or disassemble any portion of the Site. Remove any copyright, trademark, or other proprietary rights notices contained in this Site. Engage in any other activity that SelectLeaders reasonably deems improper or abusive. If you believe any content appearing on the Site does not conform to this Code of Conduct, you may alert SelectLeaders by sending notice to the same address that is to be used for notice of intellectual property infringements (identified below). SelectLeaders may, in its sole discretion, investigate the allegedly infringing content and determine whether to take any actions with respect to such content. SelectLeaders shall have no liability or responsibility to any user for performance or nonperformance of such actions. ALL MATERIALS, INCLUDING ANY CANDIDATE OR COMPANY PROFILES, JOB DESCRIPTIONS, CONTENT, PRODUCTS, AND SERVICES, ON THIS SITE AND ANY LINKED SITES ARE PROVIDED “AS IS” WITHOUT WARRANTY OF ANY KIND, AND MAY INCLUDE INACCURACIES OR ERRORS. SELECTLEADERS MAKES NO REPRESENTATIONS AND, TO THE FULLEST EXTENT ALLOWED BY LAW, DISCLAIMS ALL WARRANTIES, EXPRESS OR IMPLIED, INCLUDING, BUT NOT LIMITED TO, WARRANTIES OF MERCHANTABILITY, FITNESS FOR A PARTICULAR PURPOSE, TITLE, OR NON-INFRINGEMENT, REGARDING ALL MATERIALS ON THIS SITE. SELECTLEADERS, ITS AFFILIATES AND ANY OF THEIR RESPECTIVE OFFICERS, MEMBERS, DIRECTORS, EMPLOYEES, AGENTS AND REPRESENTATIVES WILL NOT BE LIABLE, WHETHER IN CONTRACT, TORT, STRICT LIABILITY OR OTHERWISE, FOR ANY INDIRECT, PUNITIVE, SPECIAL, CONSEQUENTIAL OR INCIDENTAL DAMAGES (INCLUDING WITHOUT LIMITATION LOST PROFITS, COST OF PROCURING SUBSTITUTE SERVICE OR LOST OPPORTUNITY) RELATING TO THE USE, PERFORMANCE, DELAY OR INABILITY TO USE THIS SITE OR A LINKED SITE, EVEN IF SELECTLEADERS IS MADE AWARE OF THE POSSIBILITY OF SUCH DAMAGES. SelectLeaders’s maximum liability to you for claims, including but not limited to negligence, shall in no event exceed the amount you paid SelectLeaders to use this Site. The above may not apply to you, if you reside or do business in the states that do not allow the exclusion of implied warranties or certain forms of damages. You acknowledge awareness of security and privacy risks, including but not limited to (i) the limitations of security, privacy and authentication measures, and (ii) that data and information transferred via this Site may be subject to eavesdropping, breaking passwords, spoofing, harassment and other security or privacy hazards. SelectLeaders shall not be liable for any damages of any kind associated with these risks. This Site is a location for employers/recruiters to post jobs and search for candidates, and for candidates to post resumes and search for jobs. SelectLeaders is not involved in the actual transaction between employers/recruiters and candidates, and does not make employment decisions. As a result, SelectLeaders has no control over and makes no representations regarding the content, quality, safety or legality of jobs or resumes posted. SelectLeaders shall not be responsible for any decisions, for whatever reason, made by any individual or entity searching for or posting jobs on or through the Site. You acknowledge and agree that you are solely responsible for the accuracy, form and substance of any of Your Content that is posted on the Site. Use of this Site and any content on this Site, including any authorized downloading of content from this Site, is at your own risk. SelectLeaders does not warrant that access to this Site or any of its content will be uninterrupted, error free or encrypted (with the exception of credit card transaction processing pages), that defects will be corrected, or that this Site will be free of viruses or other harmful components. You are solely responsible for any damage to computer systems or loss of data you may suffer. It is SelectLeaders’s goal to provide helpful data and information, but we do not guarantee the accuracy or completeness of any such data or information. SelectLeaders and its data providers shall not be liable for any errors or inaccuracies, or for any actions taken in reliance thereon. It is your responsibility to confirm all data and information, and to evaluate the accuracy and usefulness of any other content on the Site. Please seek the advice of professionals as appropriate. SelectLeaders has not reviewed any sites linked to this Site (“Linked Sites”) and is not responsible for the content of any Linked Sites. Your access to, and use of any Linked Site(s) is entirely at your own risk. Nothing on the SelectLeaders Site shall be considered an endorsement, representation or warranty with respect to any user or third party, whether in regards to its web site, products, services, hiring, experience, employment or recruiting practices, or otherwise. You agree to indemnify and hold harmless SelectLeaders its affiliates, members, directors, officers, employees, agents and representatives harmless from all claims, liabilities, damages, and expenses (including attorneys’ fees and expenses) arising out of or relating to: (a) Your Content, (b) your inappropriate or unlawful use of the Site; and (c) any alleged breach of these Terms and Conditions or the Code of Conduct. If any provision of these Terms and Conditions is found to be invalid by any court having competent jurisdiction, the invalidity of all or part of a provision shall not affect the validity of the remaining parts and provisions of these Terms and Conditions, which shall remain in full force and effect. All provisions of these Terms and Conditions shall survive termination, except those granting you access to or use of the Site. You shall cease all use and access thereof immediately upon termination. You may not assign or transfer your obligations under this Agreement. No waiver of any term of these Terms and Conditions shall be deemed a further or continuing waiver of such term or any other term. Except as expressly provided by SelectLeaders in a particular “Legal Notice” or on particular web pages of the Site, these Terms and Conditions and your Service Activation Agreement where applicable, constitute the entire agreement between you and SelectLeaders, and Select Leaders disclaims any other obligation to or contractual relationship with you. SelectLeaders reserves the right to pursue any and all legal and equitable remedies against anyone violating these Terms and Conditions or our Code of Conduct, including but not limited to terminating membership or access to the Site. No waiver by SelectLeaders shall be construed as a waiver of any proceeding or succeeding breach of any provision. If you have any questions concerning the Site or our policies, please contact us at info@selectleaders.com. If we remove or disable access to any allegedly infringing material, we may attempt to contact the member or other person who has posted that material to give that person a chance to respond. If there is a response, we will share it with the party who originally complained about the alleged infringement, and will give that party an opportunity to seek a court order or other judicial relief in accordance with the Act before we replace or restore access to the allegedly infringing material.